Every year for Valentine’s Day, I seem to post about food….I guess that’s the way to my heart! I hadn’t come up with anything for this year…inspiration was running low. Monday morning for Family Day, Mac requested waffles. The kids had their fill and I still had some batter left. 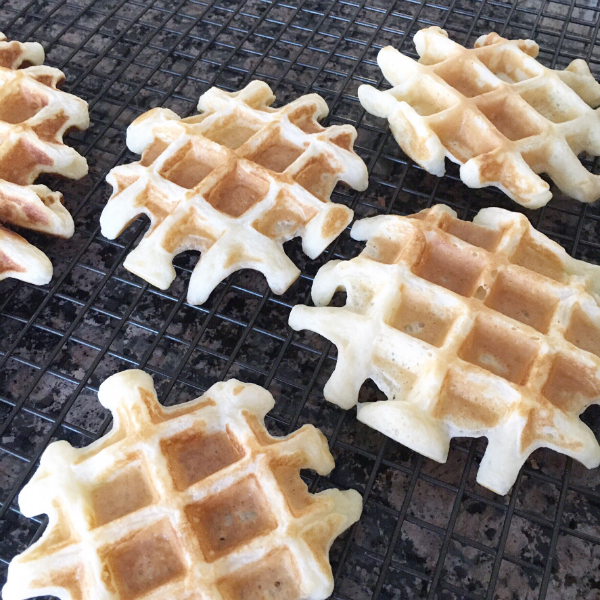 I decided to make some mini waffles but pouring smaller round circles of batter into each quarter of the waffle iron…kind of like making liege waffles but without the fuss of a yeast batter (although I do want to give that a go soon!). It actually worked brilliantly! Try this recipe for your batter. 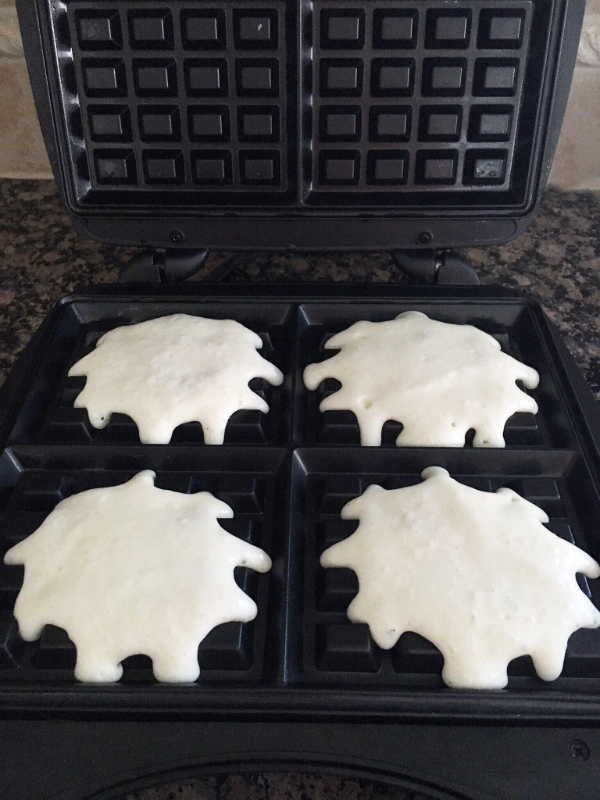 The melted butter gives the waffles amazing flavor and make sure you beat the heck out of those egg whites…they will give you light and crispy waffles. I let the mini waffles cool on a wire rack. 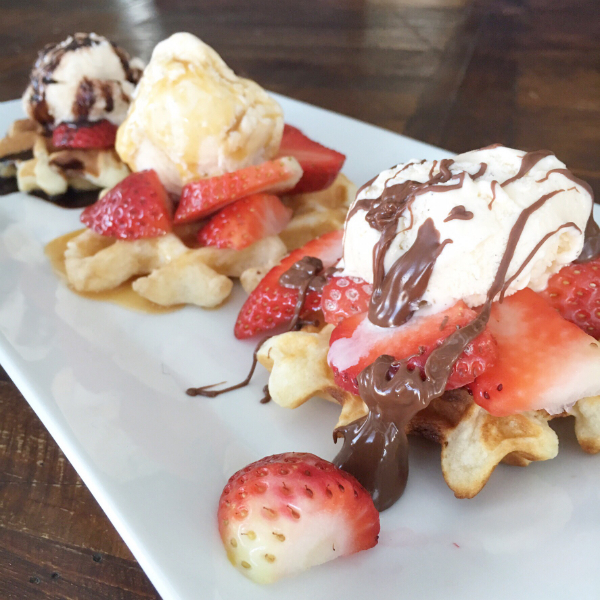 That night for dessert I warmed them up in the toaster and topped them with cut strawberries, a scoop of vanilla bean ice cream and drizzled them with a sauce of the kids’ choice…nutella, caramel or chocolate. You can warm up nutella in the microwave for a few seconds to make it more drizzle-able. 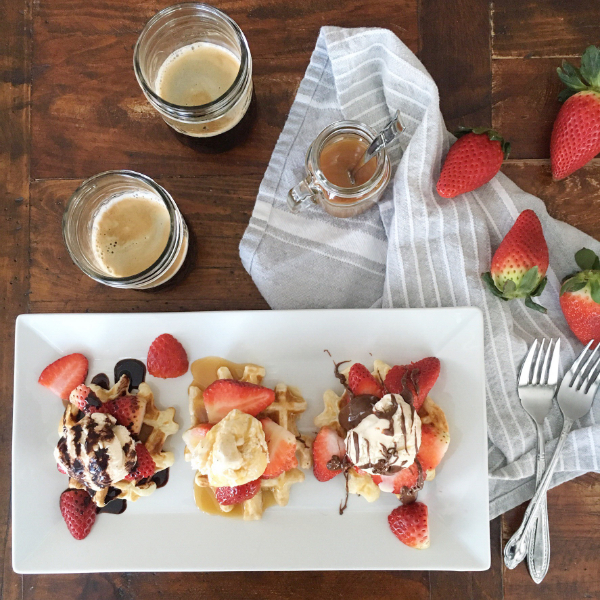 Nutella and strawberries…that’s always a great idea, especially for Valentines. 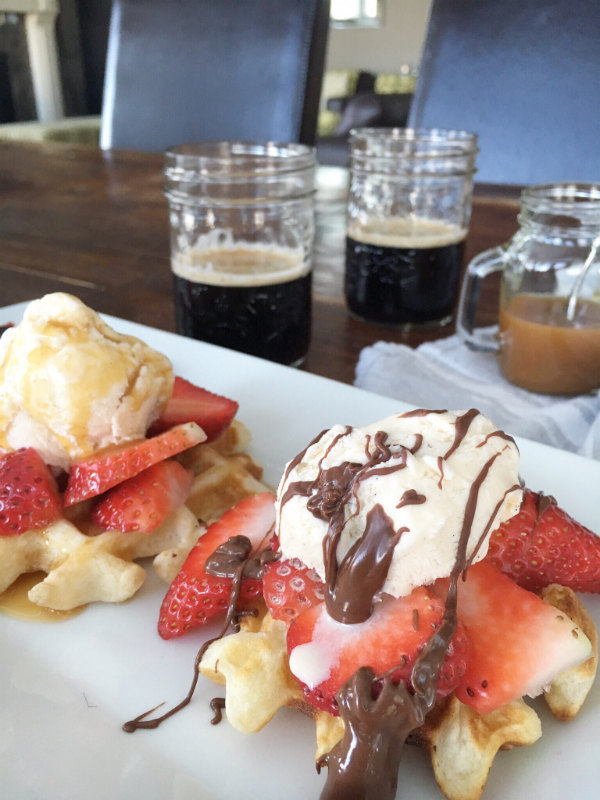 You can make this for you and your sweetie…one of each flavor and share. Or….just have your own! 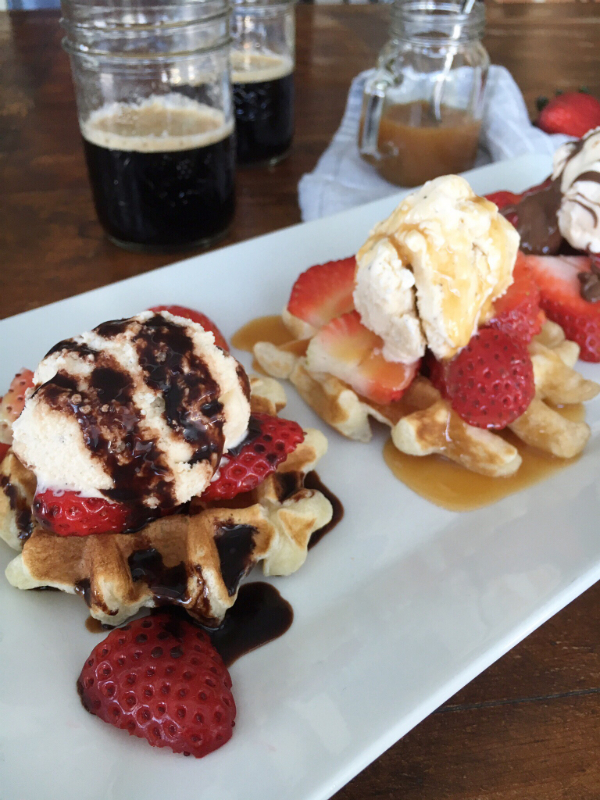 If you are serving a larger group, you can make the waffles ahead and even freeze them. Just warm them up in the toaster…that crisps them up nicely. 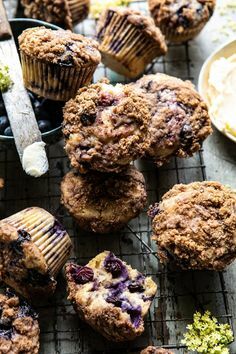 This would be fun as a dessert bar too. You could add more options such as bananas, nuts, coconut, sprinkles and whipped cream…a great idea for a Valentine’s party. 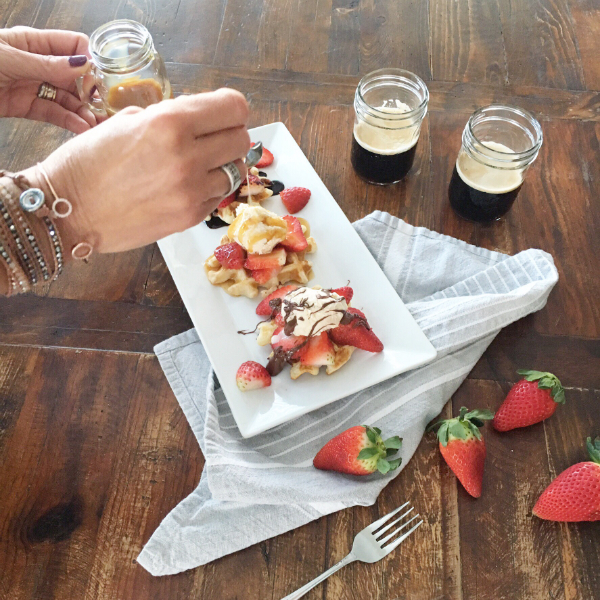 For me, I love to show my family love through food…and I enjoy being creative with it. This dessert really is so simple and easy…and Dyl enjoyed digging into this plate for breakfast after I was done taking pics. 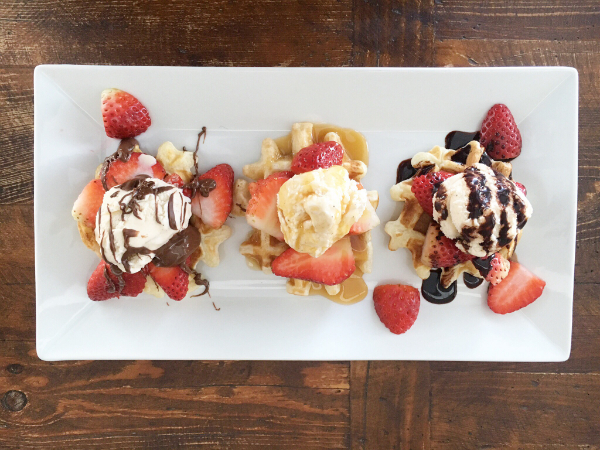 Kinda cool what inspiration came out of some leftover waffle batter!